Major conclusions: Luxury markets slowing, built-up areas growing fastest. In N6 York Region real estate areas of Aurora, East Gwillimbury, Georgina, King Township, Newmarket, and Whitchurch Stouffville, we’ve seen the market return to traditional pricing indexes as a result of an equilibrium or balanced market. 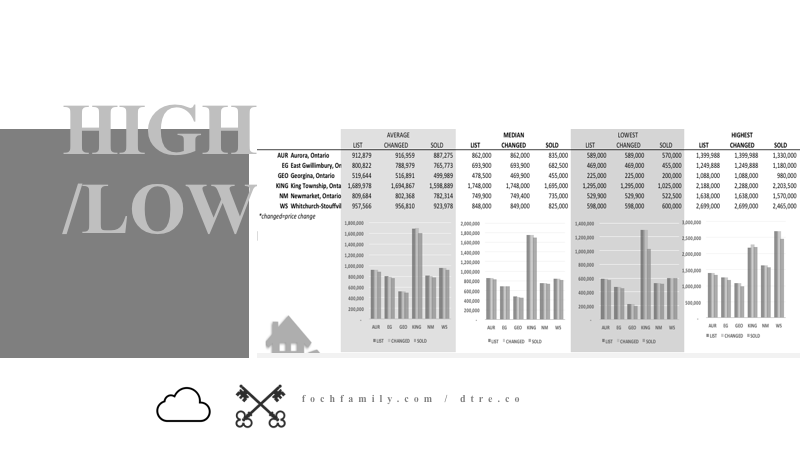 Where King Township (Nobleton, Schomberg, King City, Pottageville, and Lloydtown) continues to lead the way in price indexes, volume is beginning to skew more towarsds more built-up areas due to the greater inventory of homes for sale in these areas, such as Newmarket, Aurora, and Stouffville, and luxury areas are slowing in volume and turnover.